Several years ago, I performed my first research project for someone other than me — I researched ships built in Greensboro, Md., for the Caroline County Historical Society. One of my goals was to gather as much information as I could regarding a schooner called the George Churchman for a museum exhibit. Amid my research, I stumbled upon a gold mine at the Mystic Seaport website. The Museum of America and the Sea is located in Mystic Seaport, Connecticut. You can perform research about individuals involved with maritime history on the museum’s web site (anyone from ship captains to marine artists). I used the web site to search for ship registers with details about the Churchman. 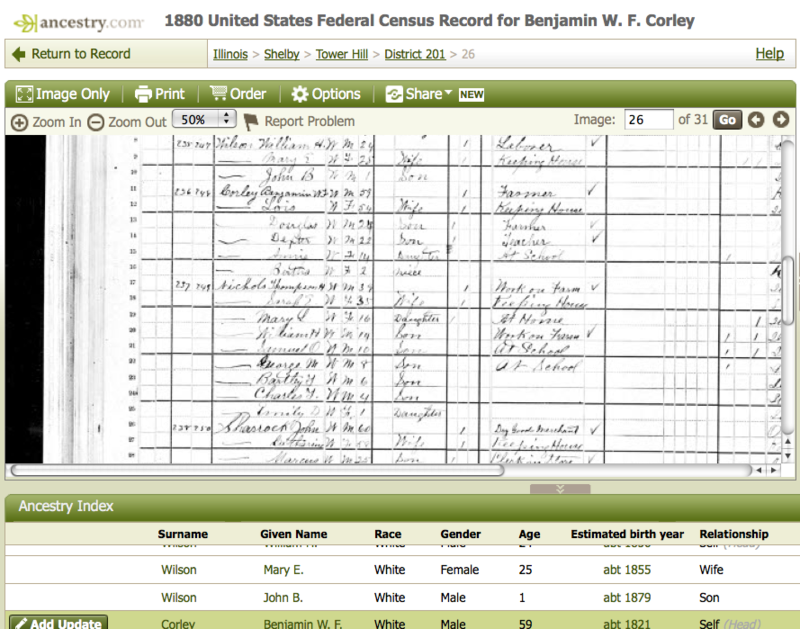 Here is such a register (the Geo. Churchman is listed about halfway down). From such records, I was able to find out the ship’s dimensions and other physical characteristics. Did you find out that one of your ancestors arrived in the United States after a voyage at sea? If you know the name of the ship, you may be able to find out more about it by searching for it on the Mystic Seaport web site or one like it. Visit the Immigrant Vessel section of the Mystic Seaport web site for some inspiration. This museum focuses heavily on the northeast United States. Other museums may focus on different geographic areas. The Mariner’s Museum in Virginia in Newport News, Virginia, is one to investigate if you have Southern sailors in your family history. Smaller museums like the Chesapeake Bay Maritime Museum in St. Michaels, Maryland, offer intimate details about what life was like for seafaring ancestors. If you have an ancestor who was a sailor or a ship builder, or even if you just enjoy maritime history, I highly recommend checking out sites like the Mystic Seaport web site and/or visiting such museums in-person, if you can. If you haven’t explored your local land records, you’re really missing out on some valuable information as well as some entertainment. I’m working on a new house history (shh! it’s a secret!) that a coworker commissioned for a Christmas present. In seeking out the deeds for the house, I’ve found a treasure trove of details about properties that demonstrate the humor of the landowners back in the 1800s. 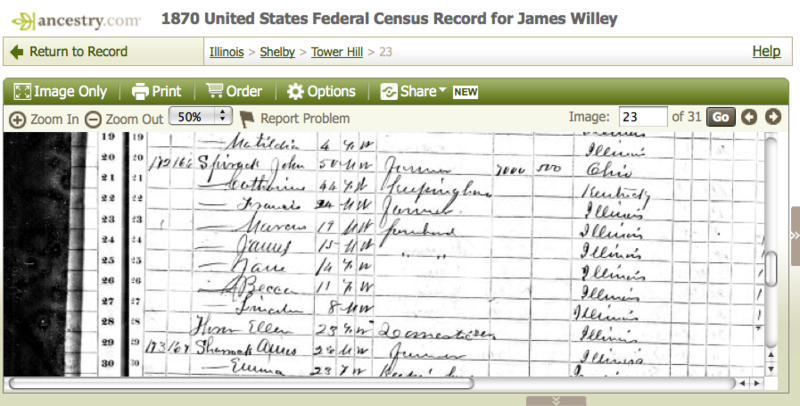 How does one get started digging into land records? Here’s one of the best-kept secrets in Maryland: currently anyone can use mdlandrec.net to look up property in the state. You do need a login, but it’s simple to request one and I was informed by their help desk that they usually respond to requests within the hour during the business day. I highly recommend reading the user guide (may require a login to download) before you get started as navigating the search mechanism for the various county land indices can be a bit overwhelming for newbies. Today, I’ve been requesting copies of vital records for some of my kin. One item I requested was my paternal grandmother’s death certificate. First off, why would I do this? It may sound morbid, but there can be a lot of rich genealogical information in this document. The death certificate will typically list the date, time, location and cause of death. In addition, it will include the name of the deceased’s spouse, the names of their parents, Social Security number and place of residence. If the death was related to a medical condition, the recent history of the condition may be discussed. The name of the cemetery/funeral home that accepted the remains may be listed. My paternal grandmother passed away in Chevy Chase, Md., in 1943. 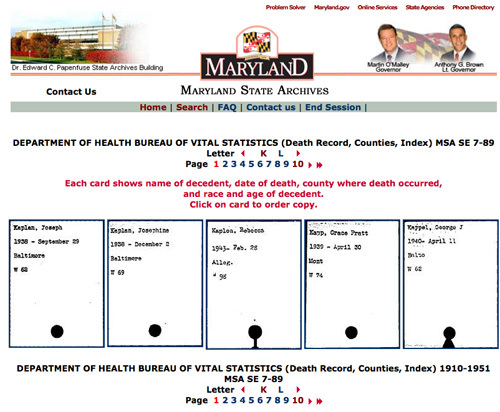 I was able to determine where her death certificate would be held by reviewing the Maryland State Archives web page about vital records. Had my relative passed away after 1968, a different state office would have held the death certificate. Clicking on that link brings you to an index broken down by date and then alphabetically. Clicking on the range pertaining to my ancestor and then narrowing down still further to the initial of her last name brought up an alphabetical list of index card images. Each card contains the name, date of death, county, race and age of the deceased. 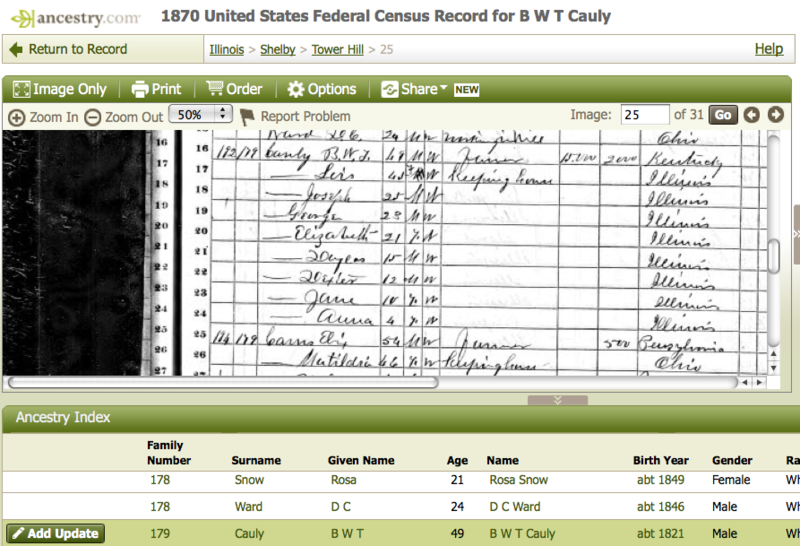 Clicking on the index card for your ancestor brings up the form for requesting the death certificate itself. You have the option of ordering a simple copy or a certified copy. While filling out the form, you’ll be asked to enter your personal information and re-enter the information of your ancestor (as a means of verification). Unfortunately, you can’t submit the form online. You must then print out the form and send it in with your payment (currently, $12 for a plain copy and $25 for a certified copy). And then you wait. I’ll report back when I receive the death certificate! If you are even remotely interested in history, genealogy or books, and you happen to find yourself in the Washington, D.C., area, you must make time for a visit to the Library of Congress (LoC). This post is meant to guide first-time visitors to the main facility in general and the Local History and Genealogy Reading Room, specifically. I hope to delve more deeply into some of the LoC’s specific resources in future posts. The Local History and Genealogy Reading Room of the LoC is located in the Thomas Jefferson Building, Room LJ-G42, 101 Independence Avenue, SE, Washington, D.C. 20540-4660. It is within walking distance of the Capital South Metro Station. The facility is open Monday, Wednesday and Thursday from 8:30 a.m. to 9:30 p.m.; and Tuesday, Friday and Saturday from 8:30 a.m. to 5 p.m. It is closed Sundays and federal holidays. This past August, I visited the Library of Congress to check out a book on my ancestors that I knew was in the LoC’s holdings. Before requesting to see the book, I decided to attend a free class on using genealogical resources at the LoC. These 1.5-hour orientation classes are usually held twice a month, on Wednesday mornings, and are infinitely helpful if you plan to do research at the LoC and in the reading room. On arrival at the LoC, you must pass through security (rules: http://www.loc.gov/rr/genealogy/begin.html) and apply for a reader card that gets you access to the reading rooms and materials. This process took me less than half an hour. Librarian Reginald Downs was the leader of the orientation session that I attended. In addition to telling us about the resources available and the protocols for requesting and using materials, he took us on a walking tour of the LoC, including the main reading room and several of the alcoves that would be of interest to genealogists/historians (the original card catalog and the city telephone directory rooms included). Reginald also briefly covered some of the other reading rooms that might be of help to historians/genealogists, including the map collection, the manuscripts reading room, the newspaper/current periodicals reading room and the rare book and special collections reading room. When you locate a volume at the LoC that you would like to view, you fill out a call slip and give it to a staff member in the reading room. 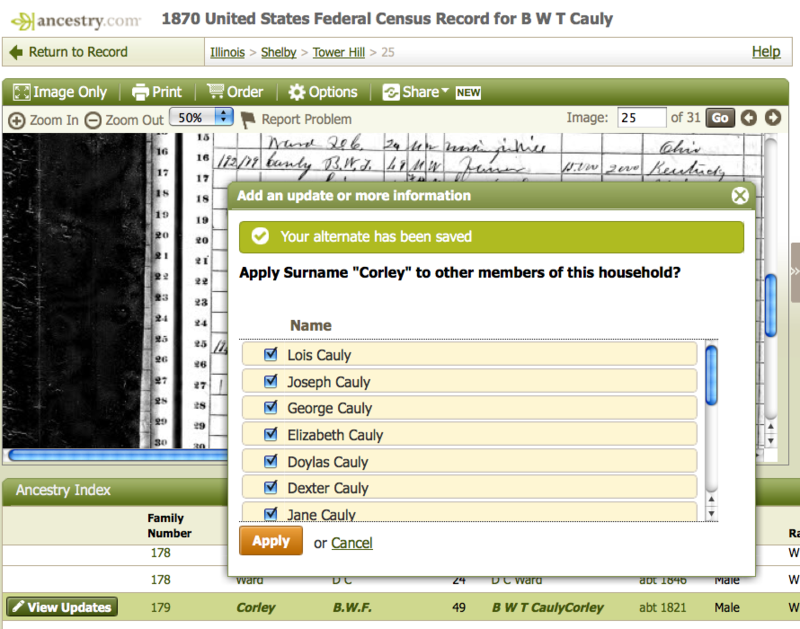 Once you are an established user, you can request materials ahead of time online when you locate materials in the catalog before you arrive (tips for searching the catalog: http://www.loc.gov/rr/genealogy/tips.html). It takes about 45 minutes to one hour for materials to be brought to you at the room. You can write “HOLD” on the slip and your material will be set aside for you, allowing you to visit another part of the facility in the meantime (perhaps another reading room, or there are two cafeterias inside the facility that both offer pretty good food). The reading room has desks available for your day’s research. If your work will take several days to complete, you can request a shelf or room for long-term purposes. Use reserved slips to hold the materials you are working on (this is advisable, because once you return a volume, it can take up to 7-10 days to be re-shelved and, therefore, requested again). You must use your reserved space and materials at least once a week in order to maintain it. In addition to desk space where you can spread out the materials you are working with, the reading room also has computers where you can access the LoC’s subscription databases (including Ancestry Library Edition and HeritageQuest Online, among others) and the Internet. Printing from the computers is free. Copying pages from books, on the other hand, requires the purchase of a copy card for use at the reading room’s copier for $.20 per copy. Professional copying services are available at the LoC as well. Stay tuned for more details on using specific resources in the reading room in future posts.